The founder and owner of Bloor Street retailer Curbside Cycle died of an apparent heart attack on August 16. He was 71 years old. Don Watterson launched Curbside in 1991 as a tent on the side of a curb (hence the name) near Bloor Street and Brunswick Avenue, not far from its current storefront at 412 Bloor St. W. He was also heavily involved in Bells on Bloor, which advocates for bike lanes on Bloor Street, and was instrumental in making Toronto more accessible for cyclists. Like his advocacy work, cycling in the city is at the heart of his shop. 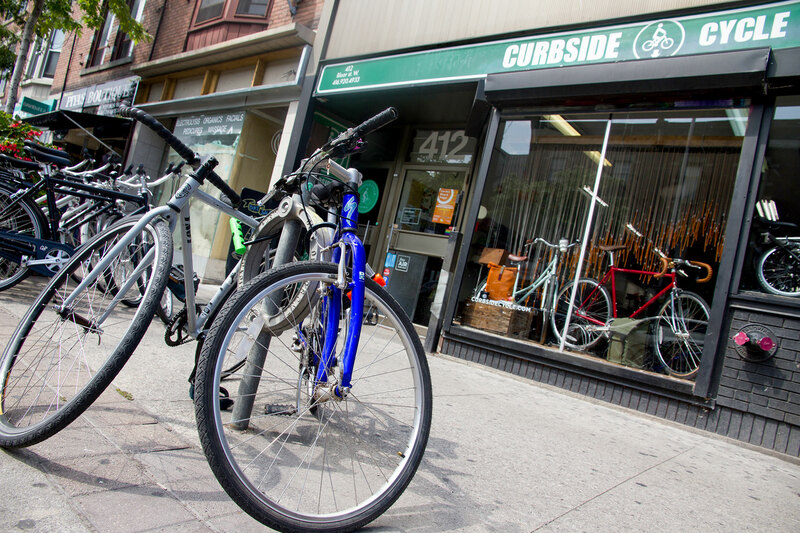 As a result, Curbside’s focus has always been on bikes that people use primarily to get around the city, rather than bikes for recreation (mountain bikes) or sport (racing bikes). A recent visit to Curbside Cycle found not one grumpy staffer but rather a mechanic with a smile, eager to get a flat fixed on the spot to get the rider back on her way. Watterson would have been proud.